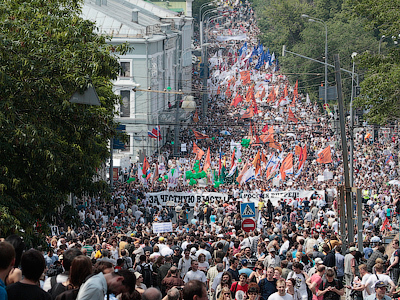 Participants of the June 12 opposition rally – the so-called March of Millions - have adopted the Free Russia Manifesto, which demands Vladimir Putin’s resignation, a snap State Duma vote and a new Constitution. The protesters demand that a new law on parliamentary elections be developed, which would provide for “fair, transparent and competitive elections.” This bill should be adopted by the current parliament, which “would become its last and only” function, the document reads. Then, a newly-elected parliament should work out a project for Russia’s Constitution, which would significantly limit presidential powers, giving more authority to MPs in terms of forming the government and holding parliamentary investigations. The opposition also demands that the presidential time in office should be limited to either one six-year term or to two four-year terms. The parliament should also call a referendum on a project for the overhaul of the constitution. Among other demands is the adoption of laws that guarantee local self-government and direct governors’ elections, as well as reforming of courts and law enforcement agencies. 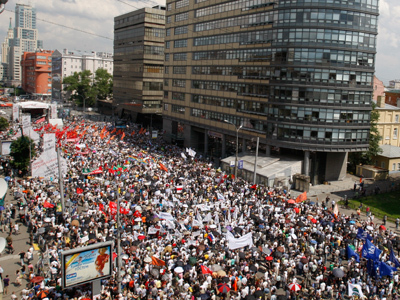 “The population has a legal right for a peaceful mass protest in order to put pressure on power and to change it. Our fight for political rights is linked to economic rights. We seek changes at all levels of life,” said one of the opposition activists Evgenia Chirikova. 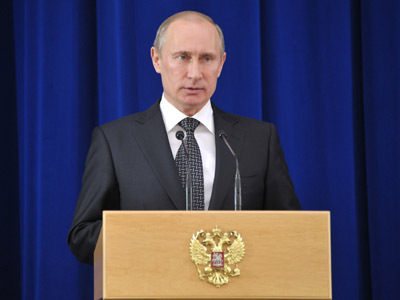 She read the text of the document to the crowd which gathered at Moscow’s Sakharov Avenue. 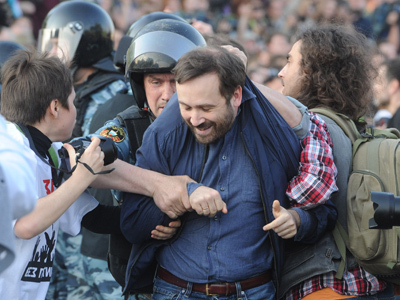 Next week the March of Millions organizing committee is planning to decide on a date and the format of elections to a joint opposition body, Ilya Ponomarev, a deputy from the opposition Fair Russia party told Itar-Tass. The vote will be held on the internet, he said. According to police, about 18,000 people took part in the rally, while the event organizers claim up to a 100,000 took to the streets. Similar rallies were also held in some other cities across Russia, including the northern capital, St. Petersburg. 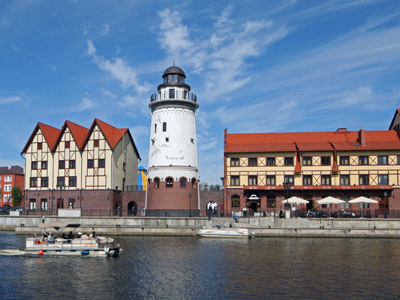 For many Russians though, June 12 is simply a public holiday and a chance to enjoy their time off. "The unconditional value of an evolutionary development path is obvious for a huge country like Russia, with its multiethnic people and complex federal structure," he said. Commenting on today’s opposition March, Putin’s press-secretary Dmitry Peskov positively assessed the organization of the event, reports TV Rain. No incidents, detentions or clashes with police were reported. 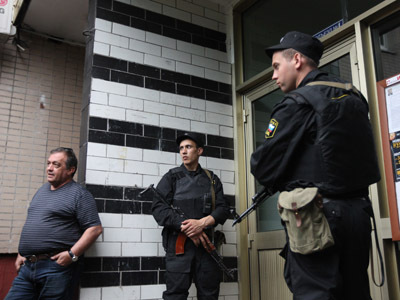 The head of the Presidental Council for Human Rights, Mikhail Fedotov pointed out that Moscow police acted professionally while providing security in Moscow. “I can say only one thing: the police are acting professionally and very politely,” he told Interfax earlier. Fedotov observed that policemen “are ready for any provocations,” but at the same time are very friendly with Muscovites. “It doesn’t matter whose initiative it is. What is important is it is the right initiative,” he added.